Air travel to and from Swedavia’s airports during September showed a continued increase, with Stockholm showing a 7% rise compared to 4.6% in Oslo – and a decrease in Copenhagen. In September, 3,848,000 passengers flew to or from Swedavia’s ten airports, a 5% year-on-year increase. Of these, 2,567,000 were international, an 8% rise, while domestic volumes fell 1%. A total of 2,414,000 passengers used Stockholm Arlanda, up 7%, 1,907,000 of whom were international, up 8%. Domestic traffic rose 2%. Traffic at Göteborg Landvetter also increased 7% to 654,000, international up 9%. An increase was also recorded at Åre Östersund, where 47,600 passengers flew to or from the airport, up 8%. Kiruna saw a rise of 7% to 20,100. So far this year, 31,858,000 passengers have flown to or from Swedavia’s airports, up 7%, with international passengers up 9%, domestic up 3%. In Copenhagen, there was no passenger growth at all in September, reflecting an overall trend this year. 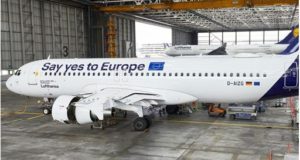 The airport blames a 7.3% fall in domestic traffic, and to fight this, Copenhagen Airport “has just launched a major campaign with the regional airports and domestic operators to increase traffic within Denmark”. In September, 2,672,710 passengers passed through CPH, 3,000 fewer than in the same month last year, a decrease of 0.1%. “For many Danes, domestic flying has simply disappeared off the radar when it comes to travelling across the country,” thinks Copenhagen Airport CEO Thomas Woldbye. A survey commissioned by CPH shows that four out of ten Danes do not know that there are seven domestic airports in Denmark. 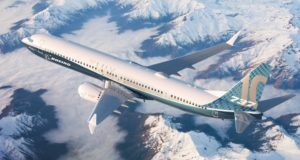 Even fewer know “there are more than 600 departures every week to get quickly to and from Jutland, Bornholm and the capital”, the airport says. In Norway, air traffic increased by 2.6% in September, with 4,810,992 passengers travelling through Avinor’s 45 airports. 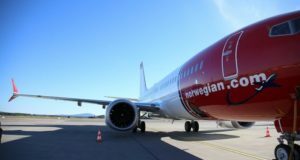 Oslo and Bergen showed passenger increases of 4.6% and 4.4%, respectively, but Stavanger and Trondheim saw declines of 1.1% and 0.7%. 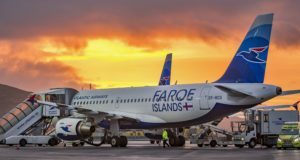 Among the smaller airports, there is solid growth at Svolvær (32.9%), Leknes (26.2%), Hammerfest (24.6%) and Røros (20.5%). 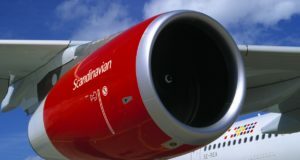 STANDBYNORDIC.com is a digital trade media about travel and aviation in the Nordic and Baltic countries. STANDBYNORDIC.com is published by Travelmedia Nordic ApS, the largest independent distributor of news for the travel and aviation industry in Scandinavia. Site dveloped by JHV Media Consult.